Many countries mandate the public reporting and auditing of firms’ financial statements. In the United States, publicly listed firms must prepare and publicly report audited financial statements. In the European Union (EU), reporting and auditing mandates even apply to private firms (in particular, limited liability firms). Despite the widespread regulation of firms’ financial reporting, the need for reporting and auditing mandates is controversially debated. On theoretical grounds, proponents of financial-reporting regulation point to a potential market failure: they argue that firms’ credible public reporting is a public good. For example, one firm’s financial reporting can facilitate valuing other peer firms. As a result of such an externality, for example, firms’ voluntary reporting and auditing may fall short of the social optimum, hampering the efficient allocation of resources (e.g., Coffee 1984). Opponents counter that such a market failure does not necessarily justify regulation, because regulation is just another imperfect alternative (e.g., Stigler 1964, 1971). To avoid the “nirvana fallacy” of deriving demand for regulation from comparing real-world market outcomes with hypothetical ideal outcomes, they call for a “comparative institution” approach to resolve the question of whether reporting and auditing mandates help or hurt resource allocation (e.g., Demsetz 1969; Leftwich 1980). To make strides toward discriminating between these scenarios, I investigate the effects of reporting and auditing regulating on industry-wide resource allocation in a recent study. In particular, I investigate how mandating a greater share of firms in an industry to publicly report full (instead of abbreviated) financial statements or to obtain a financial-statement audit affects the way in which resources are allocated in an industry and the efficiency of this allocation. Comparing industry-wide outcomes across more versus less regulated industries allows capturing the industry-level externalities of financial-reporting regulation (e.g., spillovers from regulated to unregulated firms), which are central to proponents’ arguments for financial-reporting regulation. In my empirical comparison, I exploit the fact that European countries prescribe varying size-based reporting- and auditing-exemptions, relieving smaller private firms from full reporting and/or auditing mandates. These size-based exemptions provide variation in the scopes of reporting and auditing regulation not only across countries as a result of country-level differences in exemption thresholds, but also across industries as a result of industry-level differences in firm-size distributions. For example, a regulation exempting firms below 50 employees from auditing requirements affects labor-intensive industries more strongly than capital-intensive industries, because a greater share of firms exhibits 50-plus employees in labor-intensive industries. This feature allows comparing the effects of (expanded) reporting and auditing mandates in the same country and in the same industry, allaying concerns that differences across countries (e.g., in economic development and institutions) or across industries (e.g., in entry barriers, concentration, and productivity) distort my comparison. With respect to reporting regulation, I find forcing a greater share of firms to publicly report full financial statements (including management reports on financing, investing, and the competitive potion) fosters competitive and dispersed product and capital markets. For example, I find reporting regulation spurs business dynamism (entry and exit), reduces market-share concentration, and shrinks profit-margin dispersion in product markets. In capital markets, I find forcing the reporting of a greater share of firms (not just public firms) reduces barriers to public capital markets (which require stringent reporting requirements), increasing the share of publicly listed firms and reducing ownership concentration. These findings suggest reporting regulation reallocates proprietary information rents from insiders (e.g., incumbents and their close contracting partners) to outsiders (e.g., potential customers and entrants). As a result, reporting regulation shifts the way in which resources are allocated in an industry from a relationship toward an arm’s-length approach (e.g., Rajan & Zingales 1998; Rajan & Zingales 2003). Notably, however, I do not find this shift unambiguously enhances the efficiency of industry-wide resource allocation. Specifically, I find reporting regulation fails to stimulate industry-level (productivity) growth. A potential reason for this failure is that the dissipation of firms’ proprietary information rents deters firms’ incentives to discover proprietary information in the first place (e.g., through R&D) (Zingales 2009). The potential deterrent effect of ex post disclosure on ex ante incentives is reminiscent of a key argument advanced in support of patent protection. In sum, my evidence suggests reporting regulation, through the “sharing” of proprietary information, reallocates rents rather than unambiguously improving market-wide allocative efficiency. With respect to auditing regulation, I find forcing a greater share of firms to obtain a financial-statement audit imposes (net) fixed costs of operating on firms without compensating externalities at the industry level. In particular, I find auditing regulation deters entry, especially entry of smaller firms. I do not find any other effects on the way or efficiency of market-wide resource allocation. Notably, I also do not find auditing mandates are a prerequisite for outsiders to derive benefits from reporting regulation, suggesting other mechanisms ensure the credibility of firms’ reporting (e.g., litigation and tax enforcement given the close book-tax conformity in Europe). In sum, my evidence suggests auditing mandates fail to improve over firms’ voluntary auditing choices in my setting. Consistent with this evidence, Watts and Zimmerman (1983) and Buijink (2006), for example, stress that firms’ auditing is not the product of government/regulatory fiat, but originated as a private contracting device long before any auditing mandates. 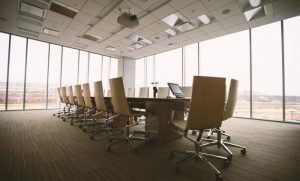 Taken together, my study provides little evidence in support of reporting and auditing mandates for private firms on grounds of industry-wide resource-allocation efficiency: reporting mandates primarily reallocate rents from insiders to outsiders, but do not appear to strongly increase or decrease the pie and growth of economic activity; auditing mandates primarily impose fixed costs of operating on firms. Clearly, regulators may impose reporting and/or auditing mandates for reasons other than market-wide resource-allocation efficiency (e.g., to facilitate tax collection or fight money laundering [European Commission 1996]). Coffee (1984, p. 751), however, argues “the strongest arguments for a mandatory disclosure system may be efficiency-based.” Hence, my study casts doubt on a central theoretical argument for financial-reporting regulation. In terms of the scenarios painted by the ICAEW, my evidence suggests [b] and [c] are more likely than [a]; that is, deregulation is unlikely to significantly aggravate resource-allocation efficiency. In this spirit, my evidence supports recent efforts of the EU commission to deregulate smaller (“micro”) firms’ financial reporting, starting (latest) in fiscal year 2016, through Directive 2013/34/EU. Following this Directive, EU member states are supposed to exempt around 60–65 percent of all limited liability firms from all but minimal record-keeping requirements. In total, these exemptions are expected to reduce the regulatory burden on firms by several billion Euros. According to estimates relating to an earlier proposal of the final Directive, an outright exemption of 75 percent of all limited liability firms from all financial-reporting requirements, for example, would have reduced firms’ regulatory burden by (in total) around 6.3 billion Euros annually (European Commission 2011). With a view to the regulation of firms’ financial reporting in the United States, my evidence suggests an extension of reporting requirements to (larger) private firms could counteract recent trends of slowing business dynamism (e.g., Decker et al. 2014; Haltiwanger 2014), increasing market-share concentration (e.g., Barkai 2017; De Loecker & Eeckhout 2017; Grullon et al. 2017), and declining IPO activity (e.g., De Fontenay 2017; Doidge et al. 2017). Yet, it is questionable whether extending reporting requirements to these firms ultimately improves resource-allocation efficiency and, in particular, stimulates growth. Absent convincing empirical evidence of enhanced efficiency and growth, the case for firms’ mandatory reporting and auditing appears weak, especially given the costs and imperfections of regulation (e.g., Stigler 1971). Matthias Breuer is a PhD candidate in Accounting at the University of Chicago Booth School of Business. De Loecker, J., Eeckhout, J., 2017. The Rise of Market Power and the Macroeconomic Implications. Working paper; Available online. European Commission, 1996. The Role, Position, and Liability of the Statutory Auditor within the European Union. Available online. Grullon, G., Larkin, Y., Michaely, R., 2017. Are US Industries Becoming More Concentrated? Working paper; Available at SSRN. Rajan, R., Zingales, L., 2003. Saving capitalism from the capitalists: unleashing the power of financial markets to create wealth and spread opportunity. New York: Crown Business, 1st ed.